Most people would agree that taking a daily multivitamin is a good idea – it’s often referred to as an “insurance policy” for covering nutritional gaps left by a less than optimal diet. 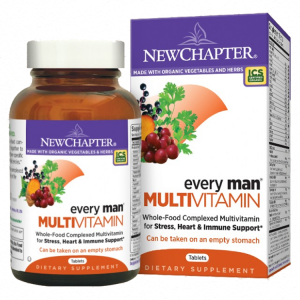 Every Man® is an organic whole-food multivitamin formulated specifically for the needs of active men. New two-a-day formula is easy-to-take, easy-to-digest, and can be taken anytime – even on an empty stomach!